iow… we’re a nation of laws, not a nation of personalities. thx for heads-up and summary. So, is there any way for Trump to find out if he has sealed indictments? If so, there are issues. I don’t see any legitimate exercise of executive power to sneak a peek at the dockets — that’d be another count of impeachment — but if Whitaker wants to snitch on all the work product that went into indictments, I suspect he can. Thanks so much, EW. This show’s not over (gulp), but this particular issue has really been bothering me. Will the judge comment on this, or is the response sufficient, without further attention to the issue? Good question. Suspect no comment. ‘subpoenas’. Plural. Trump schills- big, brash, brawny and shiny bald. Mueller must be shakin in his Oxfords (not Brogues?). Well, JS did resign. The contention is actually whether JS was told to resign by DT or his CoS, and therefore JS was effectively dismissed notwithstanding the resignation letter. Makes me wonder if Mueller drafted and filed a subpoena with The DC Circuit for Trump in between the time Whitaker was appointed on Wednesday and the Friday afternoon that Sessions resignation letter was finally dated. That may have been an important period of time. Conversely, if the mysterious court activities and rapid appellate actions starting in August 2018 were around a Trump subpoena, then this filing states that Whitaker’s appt. has no impact, because the subpoena was already filed with the court. This agrees that Sessions resigned on the 7th. Why is the mainstream news media not reporting the facts you (@emptywheel) have stated in your article? Mo…The MSM average “lay” viewer is typically a low information person who can’t grasp what EW lays out. The fact that he knows “none” is singular is totally hot! Argh, my bad, I meant to say Garamond. (It’s late. I was distracted by MNF.) Yes, Garamond. He adds that disclaimer to say that yes, it’s Garamond, but it’s allowed. But the fi- and fl- ligatures aren’t allowed (look at “office” on the first page) and I’m sure he hates that. The MNF was hot though. A proper distraction. It was so good I recorded the replay on NFL channel. Thanks, Marcy! Insightful and illuminating on this v serious issue, as always!! Reading the emptywheel commenters’ take on the exceptional evaluation of details expressed in Marcy’s posts is almost as interesting as the dissection of minutiae, that only she zeros in on like a heat seeking missile, ones often overlooked by mainstream remora pundits and reporters who latch onto headlines that frequently are, by design, misleading, if not downright inaccurate. Thank you Marcy! Thank you commenters! So true. And sadly it serves as a reminder that most pundits are ill informed and vacuous. Is Mueller admitting that Whitaker was appointed constitutionally and could therefore fire him? More like that the investigation can only be stopped by stopping the procedure that started it. 2nd parties can’t interfere, such as fire a team member. Whitaker would be a 2nd party. This is very helpful – thanks. Is there a possibility that Mueller is done and there are sealed indictments waiting to be unsealed under a Democratic House? 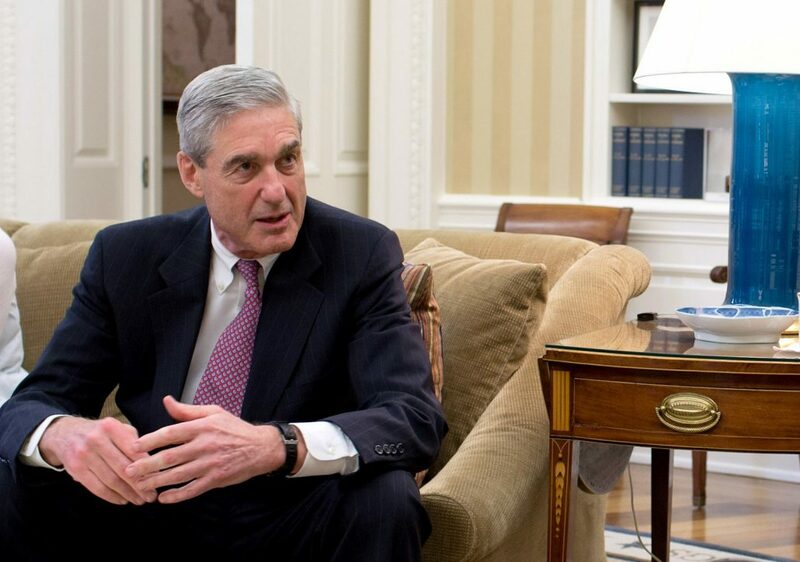 Would those indictments be safe from tampering if mueller was fired?